A newspaper's obituary section can look like a new world order, if you are a data scientist. DJ Patil recently tweeted: Everyone in today's @nytimes obits.is over 90 #new world order. The modern discipline of data science understands the world around us through patterns of information. Any collection of data, even a handful of obituaries, has a pattern and can tell us something more than the sum of its individual parts. 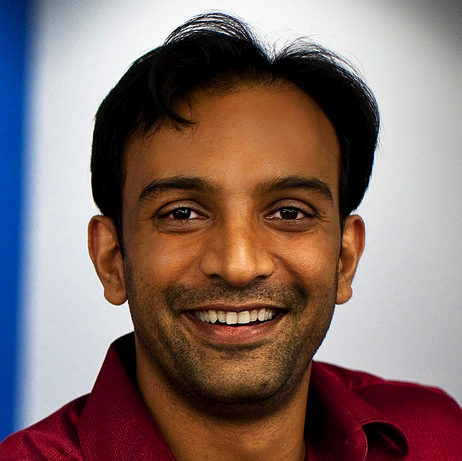 Allegedly DJ Patil even coined the term data scientist, which according to him, is the sexiest job of the 21st Century. A data scientist is like an explorer, making discoveries in the exotic mountains of data and floods of digital information. An image of the 21st Century hotshot, so different to that of a statistician, programmer or analyst, because according to Patil a data scientist has to “put the human back into data”, which requires pronounced social skills and an interdisciplinary mind. Patil’s academic background is mathematics, but he has worked in diverse roles, from U.S. Government Advisor, to Assistant Professor at Maryland University and Head of Data Products at LinkedIn. He made his first steps in analyzing data with Professor James Yorke, who gave chaos theory its name, and influenced Patil’s graduate research which characterized the complexity of weather cycles. In 2006 DJ submitted a UN paper on using technologies like Skype in places such as Iraq. Since then he has entered the tech industry, and now “turns data into products”, at the venture capital firm Greylock Partners. At his 2012 talk at Le Web, Patil enthused his audience by describing the data of things. He explained how understanding data can aid the individual and the company. Watching him talk about his vision of data science, lets you realize how it can give meaning to our physical world, and answer questions of why or what happens. A sense of power arises from the possibility of evaluating and defining the patterns in data, and Patil’s description of data scientist as the sexiest job begins to make sense. Not surprisingly he describes a good data scientist as someone who is passionate about data, and knows no rules or limits to process large amounts. Another, maybe more surprising skill, he mentions is the ability to tell stories. The visualization of data is an important part of the process to simplify complex structures which underlie our behavioral patterns. DJ Patil predicts that the demand for data scientists will increase exponentially, as companies are beginning to see the wealth of resources that lies hidden in user/customer generated data. At DLD13 he is going to share some insights, on what it is that he is looking for in the wilderness of data, and we’ll hear him in conversation with representatives from companies that want to develop products closer to the human.